Description New York, New Haven and Hartford (NYNH&H) Railroad 1935 Form 200 January 13, 1935 Timetables. Very Nice Art Deco Graphic cover that was only used for a short time during 1935. 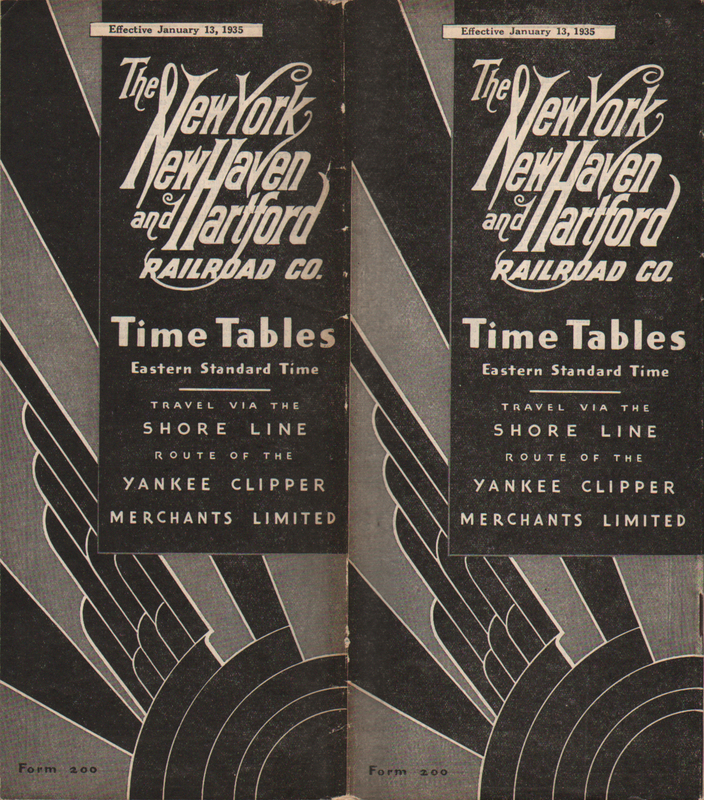 Travel via the Shore Line Route of the Yankee Clipper and Merchants Limited. 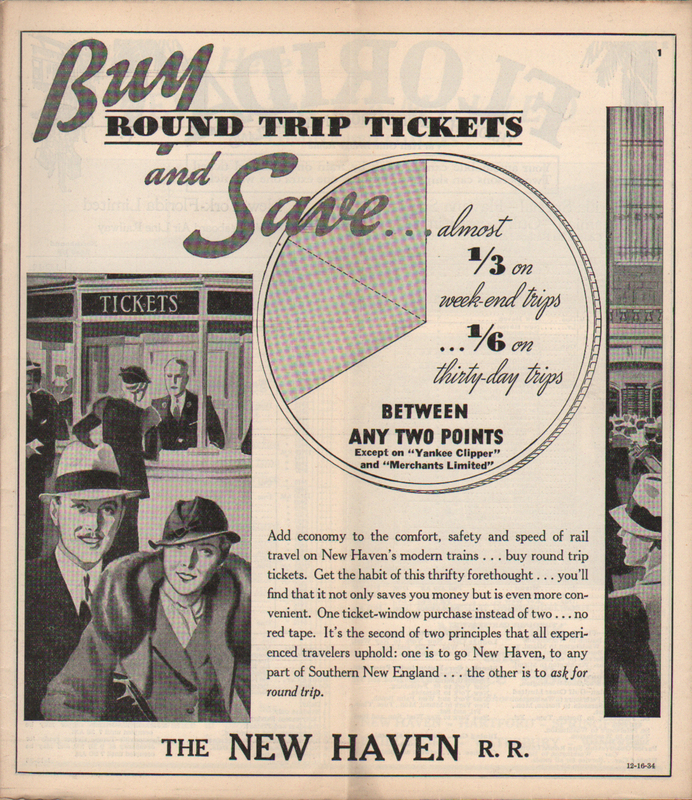 Inside front cover encourages traveler to buy round trip train tickets and save... 1/3 on week-end trip and 1/6 on thirty-day trips. 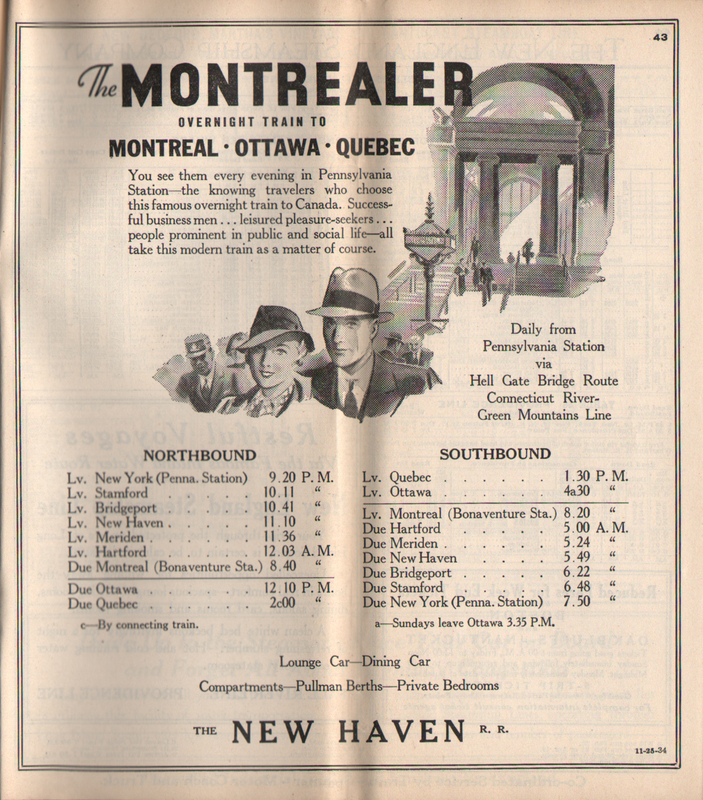 Information in this timetable was from New Haven employee timetable 124-6.